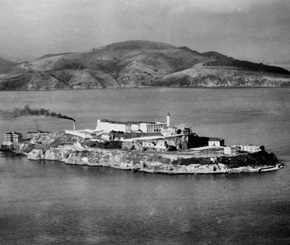 1934 – A group of federal prisoners classified as “most dangerous” arrived at Alcatraz Island, a 22-acre rocky outcrop situated 1.5 miles offshore in San Francisco Bay. The convicts, the first civilian prisoners to be housed in the new high-security penitentiary, joined a few dozen military prisoners left over from the island’s days as a U.S. military prison. In 1963, U.S. Attorney General Robert F. Kennedy ordered Alcatraz closed, citing the high expense of its maintenance. In its 29-year run, Alcatraz housed more than 1,500 convicts, including Al Capone, George “Machine Gun” Kelly, and Robert “Birdman of Alcatraz” Stroud. 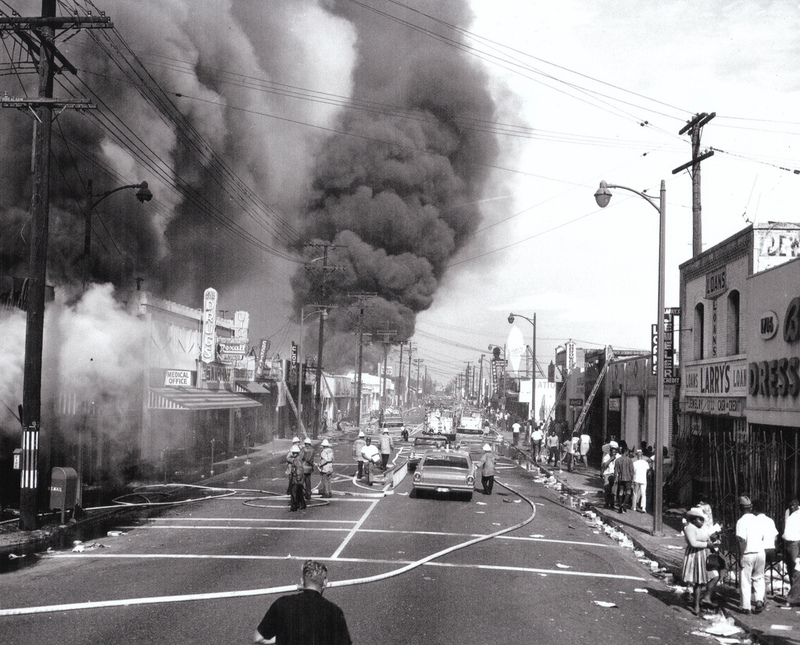 1965 – In the predominantly black Watts neighborhood of Los Angeles, racial tension reached a breaking point after two white policemen scuffled with a black motorist suspected of drunk driving. A crowd of spectators gathered to watch the arrest and soon grew angry by what they believed to be yet another incident of racially motivated abuse by the police. A riot soon began, with rioters looting stores, torching buildings, and beating whites as snipers fired at police and firefighters. Finally, with the assistance of thousands of National Guardsmen, order was restored on August 16. The five days of violence left 34 dead, 1,032 injured, nearly 4,000 arrested, and $40 million worth of property destroyed. 1973 – American Graffiti, a nostalgic coming-of-age tale set on the streets and steeped in the car-crazy culture of suburban California, was released in theaters across the United States. 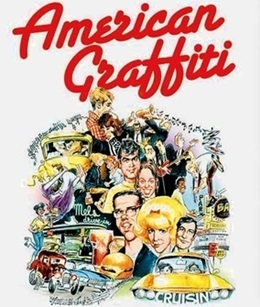 The movie, starring Ronny Howard, Richard Dreyfuss and Cindy Williams, went on to become a sleeper hit. 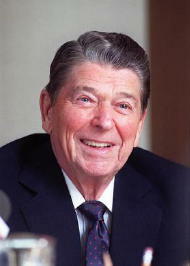 Since the voice check was not actually broadcast, it was not until after he delivered his radio address that news of his “joke” began to leak out. 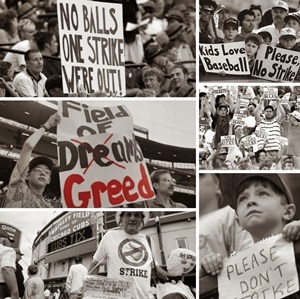 1994 – The longest work stoppage in major league history began. During the negotiation of a new collective bargaining agreement, tensions between owners and players had arisen over the owners’ desire to institute a cap on player salaries. Claiming financial hardship, owners argued that player salaries, which had risen exponentially since the 1970s, had become unsustainable and, if not contained, would bankrupt the teams. The players, led by union head Donald Fehr, refused to agree to a cap; they pointed out that they had been underpaid for most of the sport’s history and called salary caps just the latest form of exploitation by owners. The day after the players walked off the job, the owners locked the players out, and canceled the rest of the 1994 season, including the 1994 World Series. 1998 – In Jonesboro, Arkansas, Mitchell Johnson pleaded guilty to the Jonesboro schoolyard massacre on his 14th birthday. His accomplice, Andrew Golden, age 12, was convicted. Both boys had been charged with five counts of murder and 10 counts of battery for the March 24 shooting that left four schoolmates and a teacher dead and 10 others wounded. Juvenile Court Judge Ralph Wilson Jr. sentenced them to the maximum penalty allowed by law – confinement to a juvenile center until they turned 21. The judge, who declared during sentencing that “here the punishment will not fit the crime,” had rejected a plea of temporary insanity made by Golden. Johnson was freed in 2005. He was convicted for possession of a firearm while either using or addicted to a controlled substance in early 2008. Just days after the conviction, Johnson was arrested again, for possession of marijuana at the convenience store he worked at and on suspicion of using a stolen credit card. On November 14, 2008, Johnson, then 24 years old, was sentenced to 12 years in prison for the theft charge and misdemeanor possession charges. In 2015, Johnson was released into the custody of the U.S. Probation Office for the Southern District of Texas and placed in a drug rehabilitation program. Golden was released in 2007. His whereabouts were unknown until he applied for a concealed weapon permit in Arkansas on October 7, 2008, under the name he now uses, Drew Douglas Grant. His application was denied by the Arkansas State Police, who noted that Golden had lied on the application about his previous residences and declared it was illegal for Golden to own or possess a firearm. 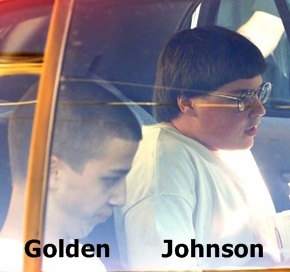 Johnson and Golden are the only two living “school shooters” who are not incarcerated. 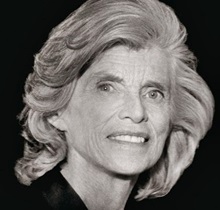 2009 – Eunice Kennedy Shriver, sister of President John F. Kennedy and founder of the Special Olympics, died at the age of 88. As executive vice president of the Joseph P. Kennedy, Jr. Foundation in the 1950s, Shriver shifted the organization’s focus from Catholic charities to research on the causes of intellectual disabilities and humane ways to treat them. This interest eventually culminated in, among other things, the Special Olympics movement. Today, 3.3 million people with mental disabilities participate in 228 programs in 170 nations, according to the Special Olympics. 2014 – Actor and comedian Robin Williams was found dead at his home in Tiburon, California, after committing suicide. 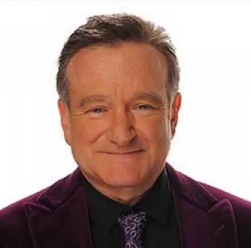 Williams rose to prominence in the late 1970s in the hit TV sitcom Mork & Mindy then went on to star in dozens of films, including Dead Poets Society, Good Morning, Vietnam, Mrs. Doubtfire and Good Will Hunting (winning the Academy Award for Best Supporting Actor). As a performer, the versatile, inventive Williams was known as both a comic genius with a rapid-fire delivery and talent for impressions, as well as an accomplished dramatic actor who took on a broad range of roles. After his death, it was announced the 63-year-old entertainer had been suffering from severe depression. An examination of his brain tissue revealed the presence of “Lewy Body Dementia,” which may have been misdiagnosed as Parkinson’s disease.